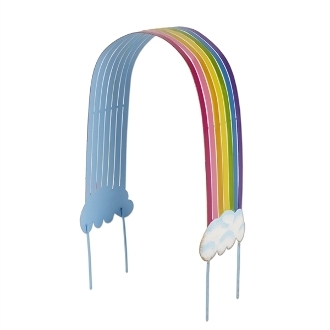 Rainbow (Can Be An Arbor Too) For Gypsy Fairy Gardens. Full Description: Create a magical entryway to your mini garden with this colorful rainbow! Features all-weather paint. Made of metal.